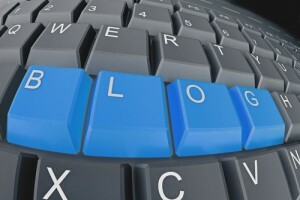 Today I wanted to share some ideas on the different types of blog posts you can (and should) be writing on your Real Estate blog. You can combine and mix these types of posts to create an endless stream of content that is relevant and attracts your potential customers to keep them engaged. The thing is, when you sit down and write a blog post, you don’t always thing about what type of post it is. Instead, you’re just thinking about the headline and the body of your content. Sometimes, you run out of things to write about. From now on, look at the following list and ask yourself, is there anything on that list that I can cover today and stay relevant to my readers/customers? Use Lists. People like to skim through content. When you write things in a list format, you make your text easier to read and scan through and your readers love you for it. Here’s a great example from Miamism.com: 6 Pricing Mistakes & How To Avoid Them. Be Topical/Break News. Dan Green, author of The Mortgage Reports does this exceedingly well. So think about it, what new developments in your area and market can you cover? Be Timeless. Learn to write posts that will be readable in a year (otherwise known as evergreen content). Consider creating an F.A.Q. page out of these posts? Learn to write Stock Answers. Here’s what I mean… The next time someone asks you a question (in person, in an email or over the phone), instead of replying to that single individual once, write a blog post with their question and blog your answer. This way, you’re writing it once and sharing it often with a ton of other potential prospects who have the same question. Share enough to show that you’re the expert in your field. Here’s what you do… Make a list about everything you know about buying and selling real estate. Then, write articles based on the items in that list and publish them on your blog. Like this post from Jay Thompson: Can you guarantee that my earnest money deposit will be returned? Heck, you could even create a Real Estate 101 landing page out of your series. The point is, when you share what you know often, people come to recognize you as the local expert which means you don’t have to go for the “hard sell”. Share client success stories. It’s one thing to say you’re good at one you do and another when other people say you’re good at what you do. People believe the latter more. That said, interview your clients after a successful closing. Here’s a great page of video testimonials collected from Real Estate Agent Cyndee Haydon. Now, what client success stories can you share? Write reviews. There’s two ways you can do this and so I have two examples for you… 1.) You can review a local restaurant the way Irina Netchaev did here: City Thai on Fairoaks in Pasadena. Remember, potential clients aren’t just interested in listings and dry market data, they’re also interested in the local lifestyle and community. 2.) Do a video walk-thru of a property to mix up your content. Here’s a great example from Irina & Laurie March who did a video walk-thru of a foreclosure on the market while making suggestions on how to improve it and whether it was a good purchase price or not. What kind of posts do you write that seem to resonate well with your readers? How do you mix up your content to keep it fresh and relevant to your audience? Thanks for the tips. I love the idea of linking local businesses to our site that you and Jim Marks talked about yesterday. I’m going to use it in conjunction with writing reviews about the businesses. Thanks for listening to the episode, Jim knows his stuff and we had a fun time on the call. As for the idea, other Agents have done this exceedingly well in my opinion: 1.) pasadenaviews.com and 2.) clarkcountyrealestateguide.com. They’ve created a series they called 365 Things to do where every day they hi-light a new business or activity to perform in the local area. It’s been received rather well mainly because they’re not just pitching their service (in this case Real Estate) and are instead focused on their readers and offering valuable content about the local community first and foremost. That said, how can you find ways to do the same? Great info – applicable to industries outside real estate as well. Hi Alicia, very much so! The idea is to try and use these as a baseline… If the post idea doesn’t match with one of these, how can I tweak it to make it more useful to my readers? I always like reading these posts. A nice list of ideas to refresh my blog. Thanks Ricardo! Thanks for the comment Irina! Cherie: I think that’s an excellent idea and a great use of dsIDXpress! It makes it easy for site visitors to come back should they be interested in that property… Basically, it makes your site sticky.